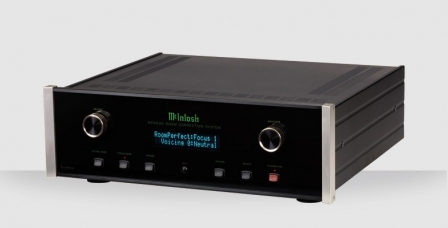 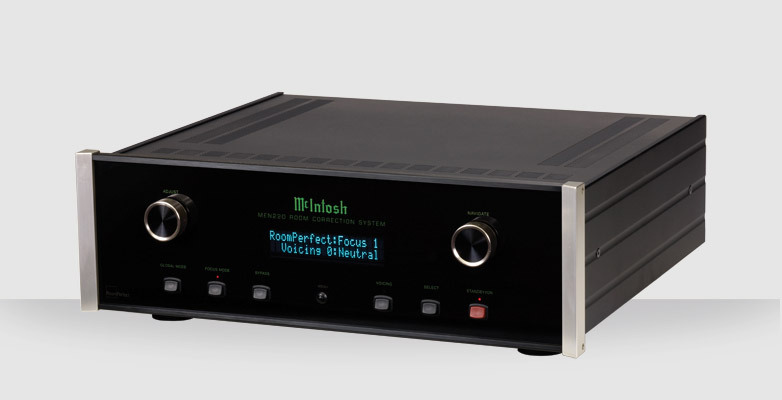 The new MEN220 Room Correction System by McIntosh delivers a potent suite of Room Correction, Custom-EQ and 2-Way Crossover capabilities in one easy-to-use stereo component. 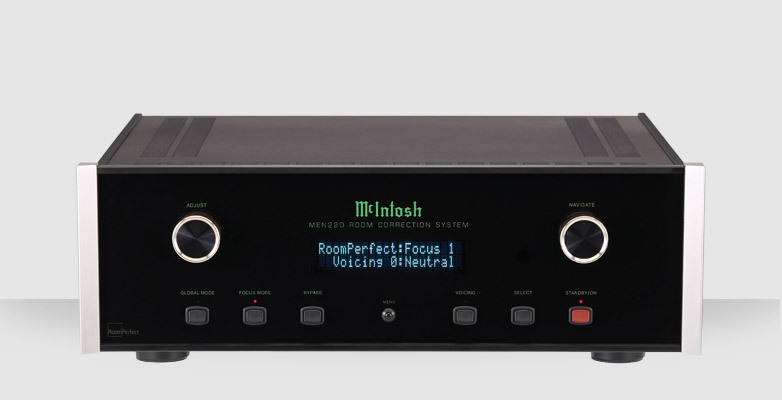 While any single feature of the MEN220 has the power to optimize the sonic characteristics of the highest quality audio systems, combining the features can reveal a level clarity and resolution unattainable by any other means. Styled in the rich tradition of McIntosh audio components the MEN220 features our trademark Fiber-Optic Illuminated Black Glass Front panel and aluminum casework. Front panel buttons and control knobs bring a familiar, easy-to-use analog interface to this digital product just as a 2-line vacuum fluorescent display reports status and aids in set-up of the MEN220. 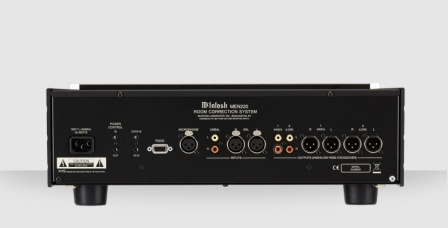 Full system control and PC link are provided via RS232 while McIntosh Data, Power Control and IR inputs offer additional remote control flexibility. 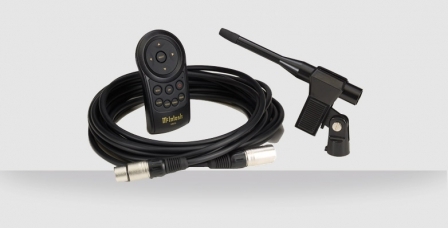 Both single-ended and balanced connections are supported; a hand-held, IR remote control is included.